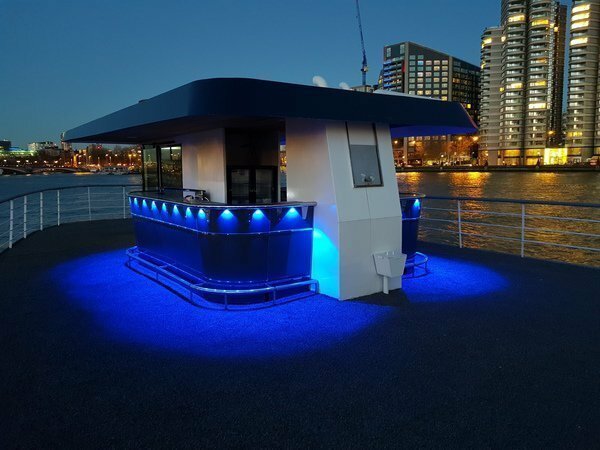 Boarding through the Pearl of London’s forward doors, you will enter the middle deck, a spacious saloon with a large fully stocked bar selling all popular brands. 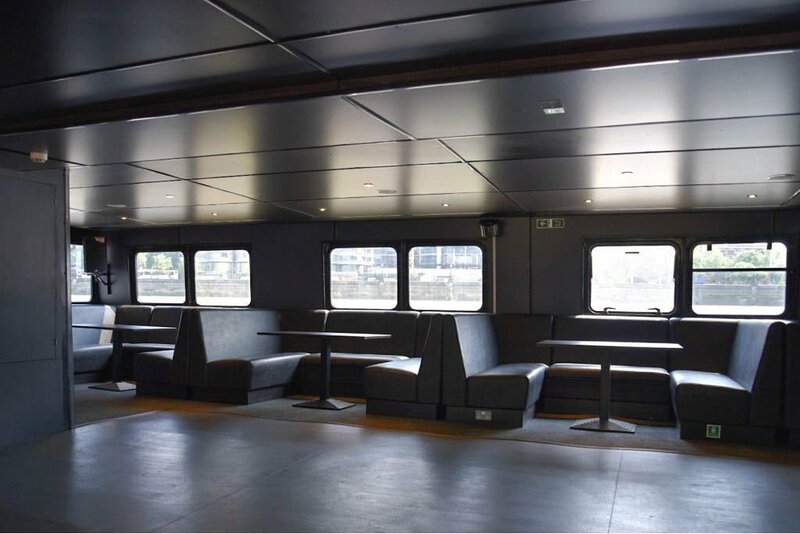 The saloon offers seating for up to 90 passengers, with ultra-modern black leather seating booths for up to 10 passengers per booth. The seating booths wrap around the large dance floor and DJ stand with state of the art lighting and sound system. 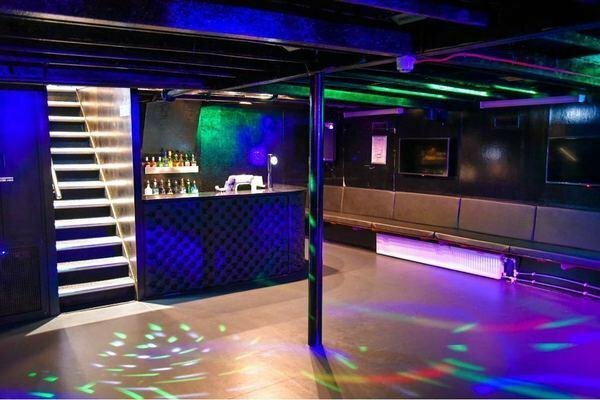 MV Pearl of London has a large basement club which can be used as an exclusive VIP area or open to all passengers for extra dance space. The basement has an ultra-modern night club feel with black leather seats wrapped around the edge of the dance floor, fitted with its own state of the art sound system and lighting. This area also has a separate bar which can be open exclusively for cocktails and champagne or as a normal bar depending on each client’s requirements. 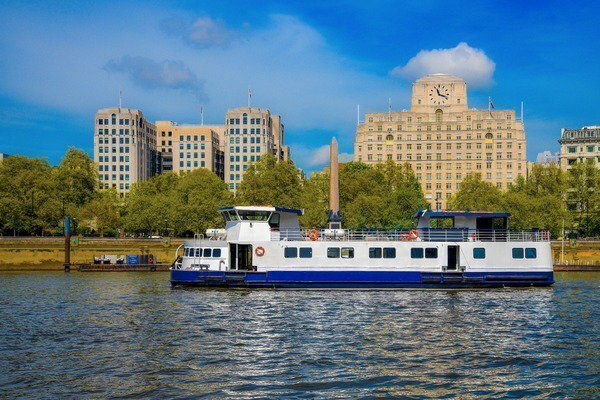 MV Pearl of London boasts one of the largest open-air decks on the River Thames. 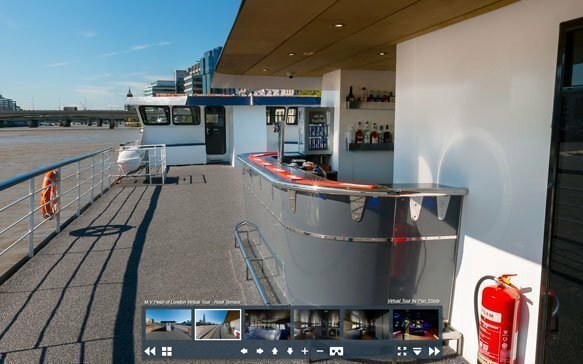 The large roof terrace can hold up to 250 passengers and is finished with artificial grass, poser tables and the only floating 360° roof terrace bar in London. Grab an ice-cold drink and enjoy the unrestricted views of London’s most iconic landmarks. This area is ideal for summer BBQ’s, team building activities and sightseeing cruises. 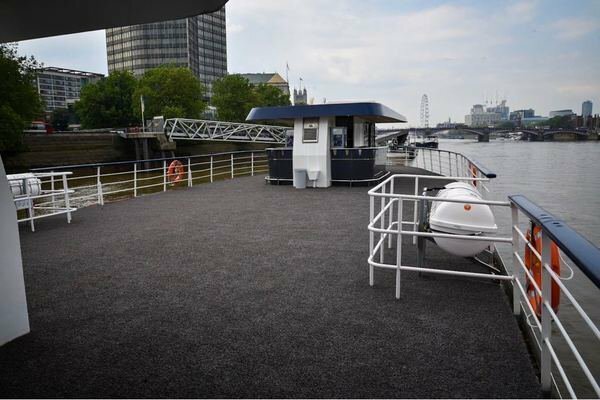 MV Pearl of London is a wheelchair friendly vessel which has a disabled toilet with full wheelchair access and panic alarm installed. To pre-book your summer event onboard Pearl of London please complete our enquiry form below or call our dedicated sales team on 0207 118 1281.